Languages can express the existence of an easy way of achieving a goal in a construction we call the sufficiency modal construction (SMC), which combines a minimizing/exclusive operator like only or ne … que and a goal-oriented necessity modal like have to or need to, asin To get good cheese, you only have to go to the North End. We show that the morphosyntactic makeup of the SMC is crosslinguistically stable. 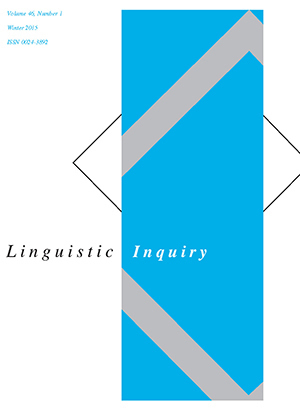 We show that the semantics of the construction poses a severe compositionality problem. We solve the problem by giving the negation and the exclusive operator differential scope. For only, this means decomposing it into negation and an exclusive other than component.